We repair all brands of central air conditioners, and gas and electric furnaces in Chicago and the northern and nortwestern suburbs of Chicago. 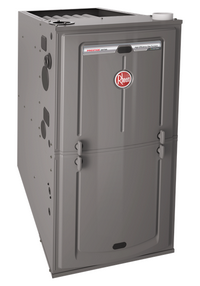 Looking for repairs for your business or home furnace in Chicago? Perri-Aire takes pride in offering dependable, professional, quality repair and maintenance of all types of central air conditioners, furnaces and boilers in Chicago, IL. We also provide furnace replacement, furnace installation, furnace maintenance, and preventative maintenance agreements for your gas fired furnace, or electric furnace. We repair all brands of hot water and steam residential boilers and commercial boilers in Chicago, IL. and northern and nortwestern suburbs of Chicago including Niles, Evanston, Oak Park, Wilmette, Winnetka, Wheeling, Des Plaines, Skokie, Glenview, Northbrook, Glencoe, Park Ridge, Lincolnwood, Kenilworth, Highland Park, Arlington Heights, Morton Grove, Cook County and most of Northeastern Illinois. A few of the brands we regularly repair and service include: Cleaver Brooks, Kewanee, Pacific, Weil McLain, Burnham, HB Smith, Ajax, Raypak, Lochinvar, Peerless, Crown, Utica, Viessman, Triangle Tube, Bryant, Buderus, New Yorker and Triad. We are also experts in radiant floor systems and high efficiency boilers. We primarily sell and install the products below because they are some of the finest available for particular applications, however we repair all types and makes of boilers. Contact us for a free estimate or for information on any of our repairs or products. Please contact us for information on other manufacturers and makes of hot water or steam boilers.